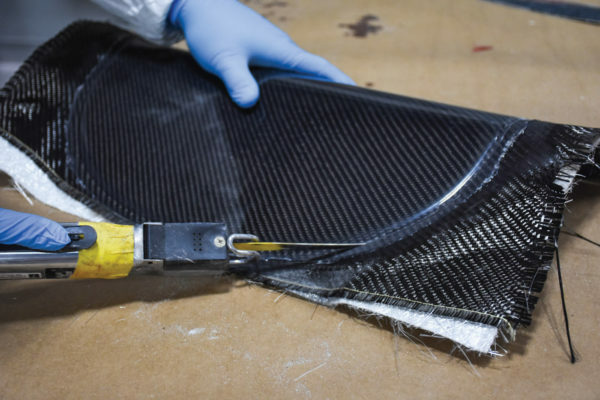 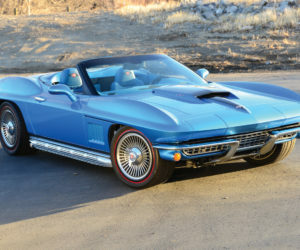 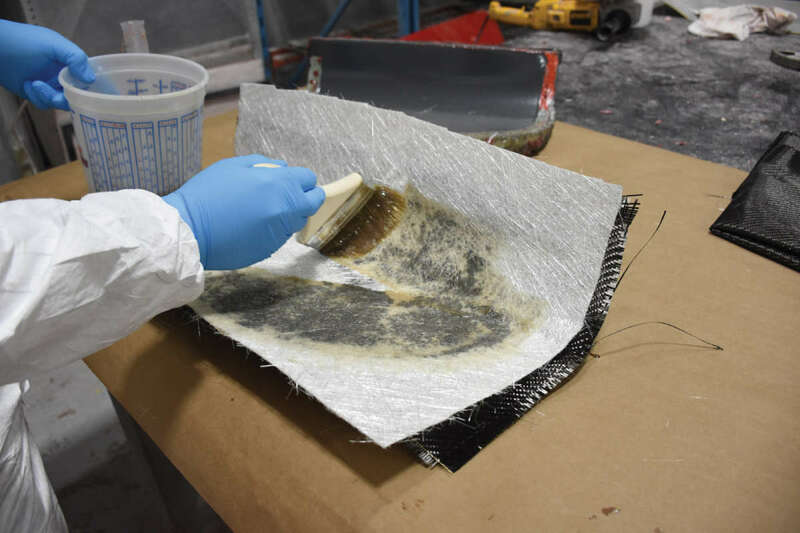 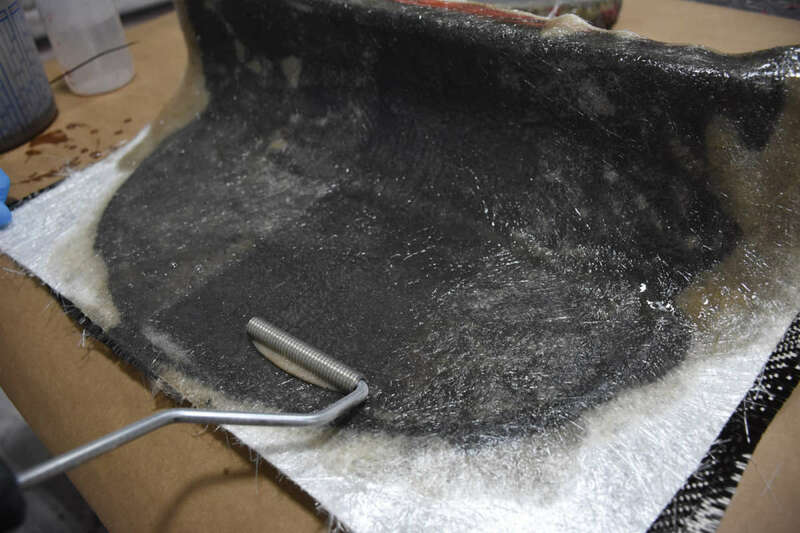 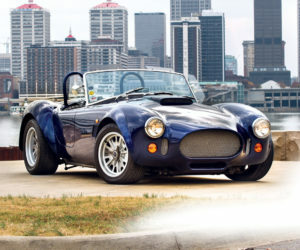 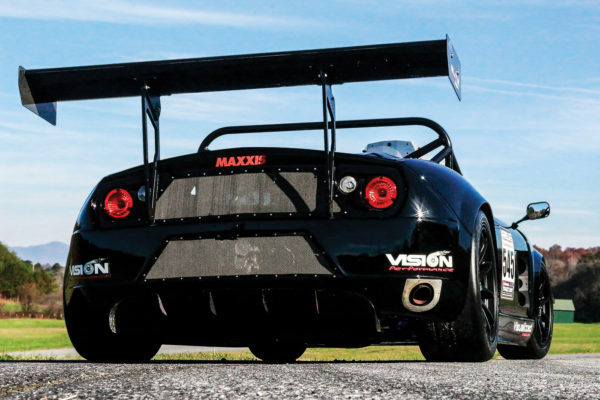 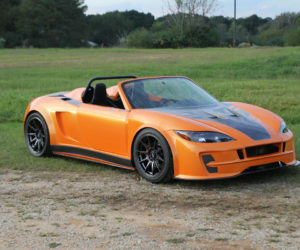 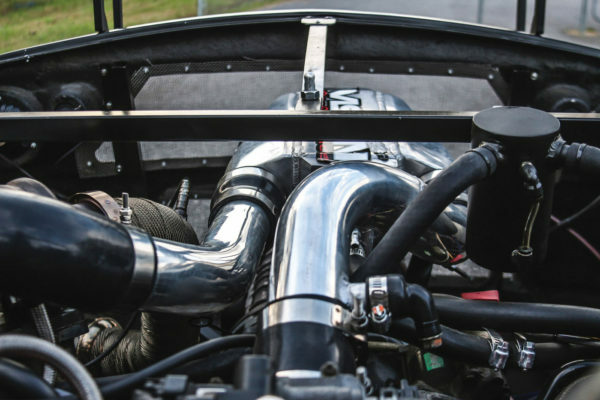 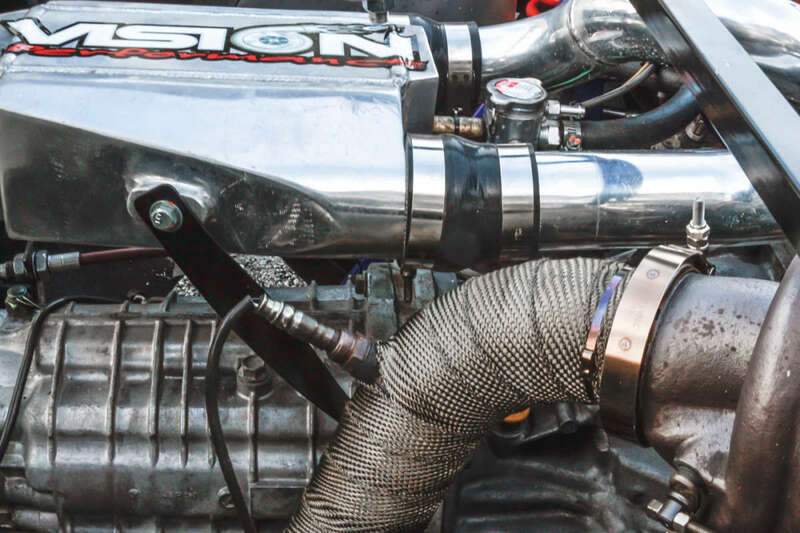 Constructing carbon fiber parts for your project car. 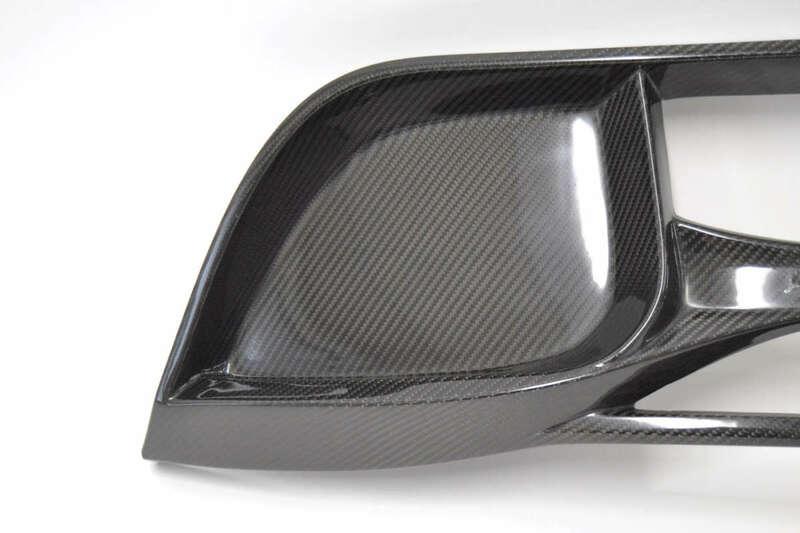 It’s the new black — literally. 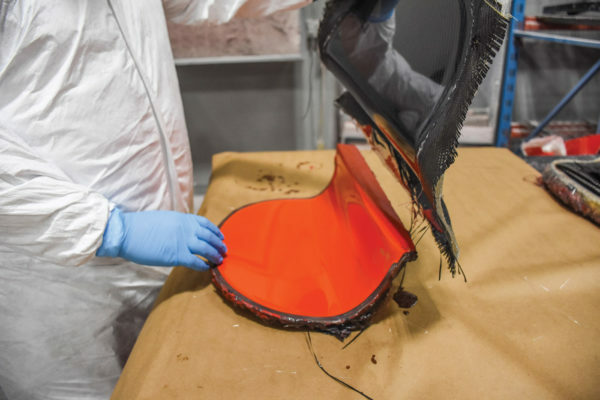 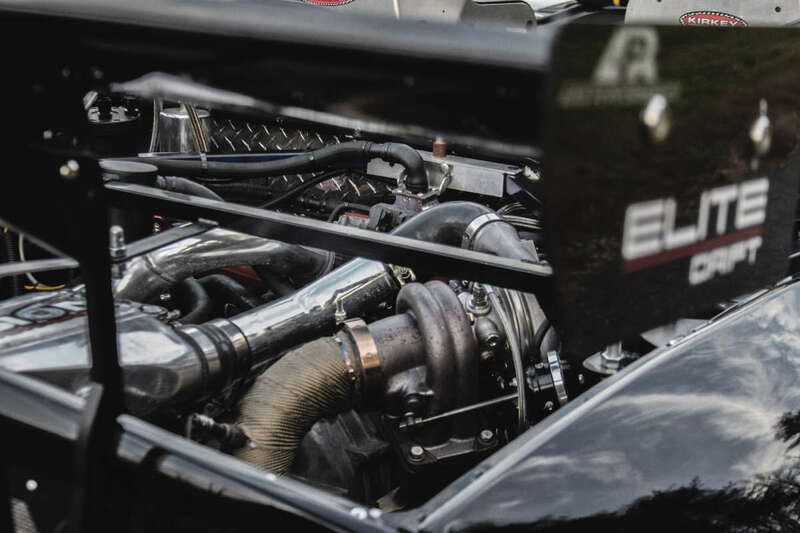 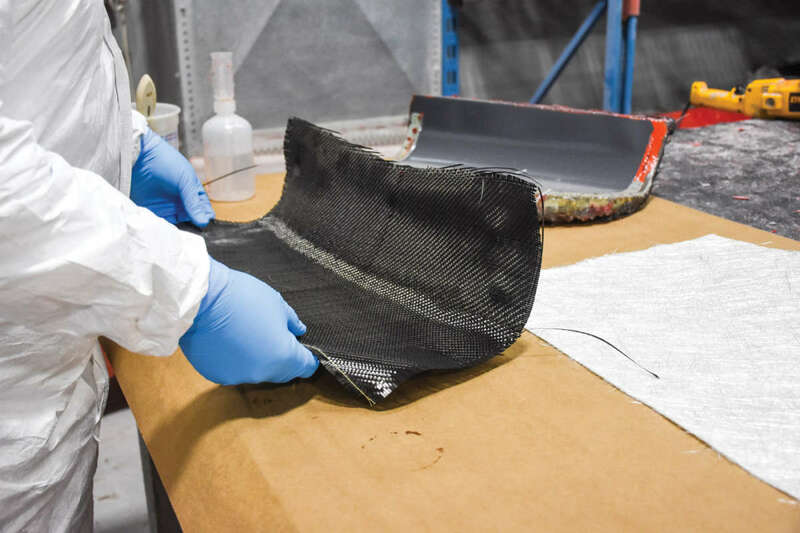 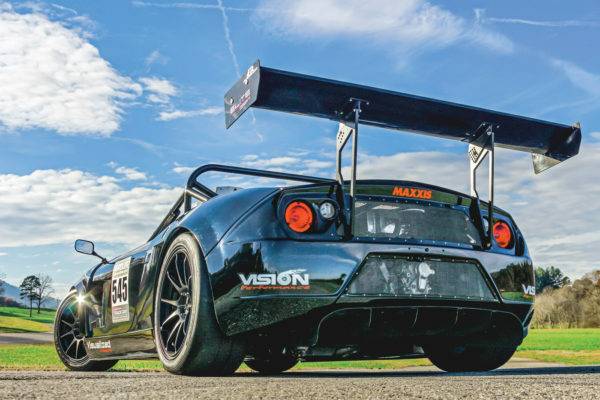 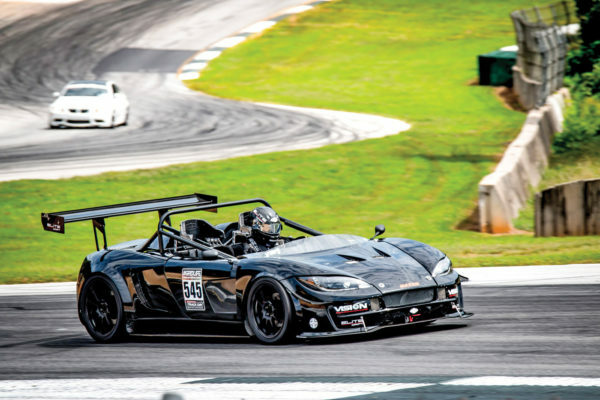 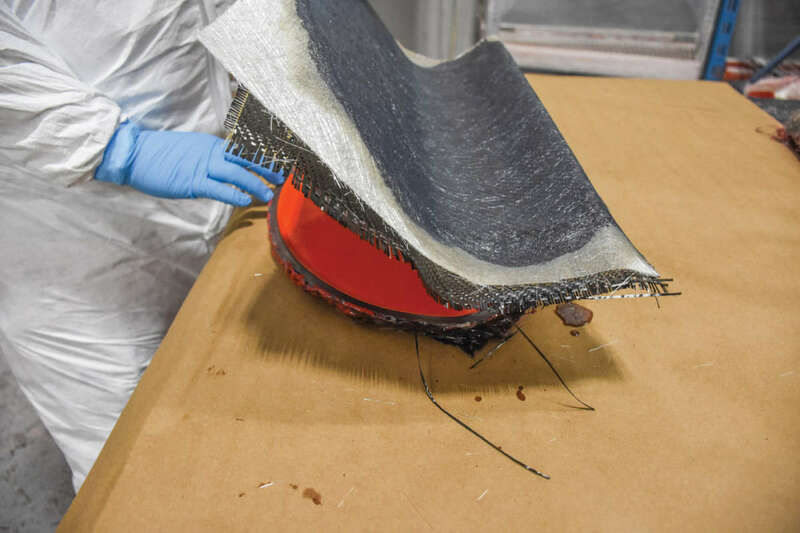 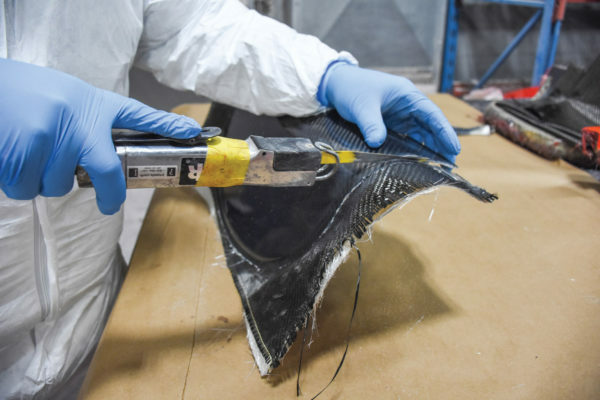 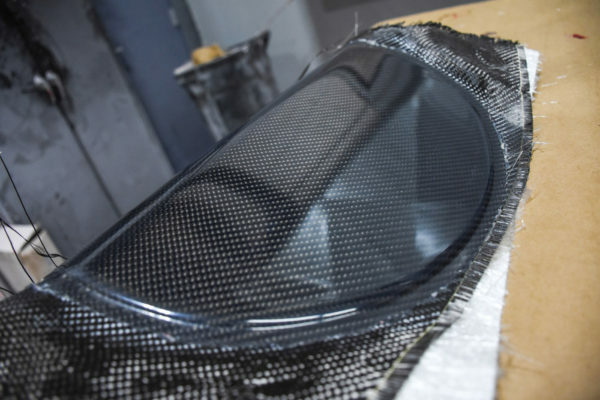 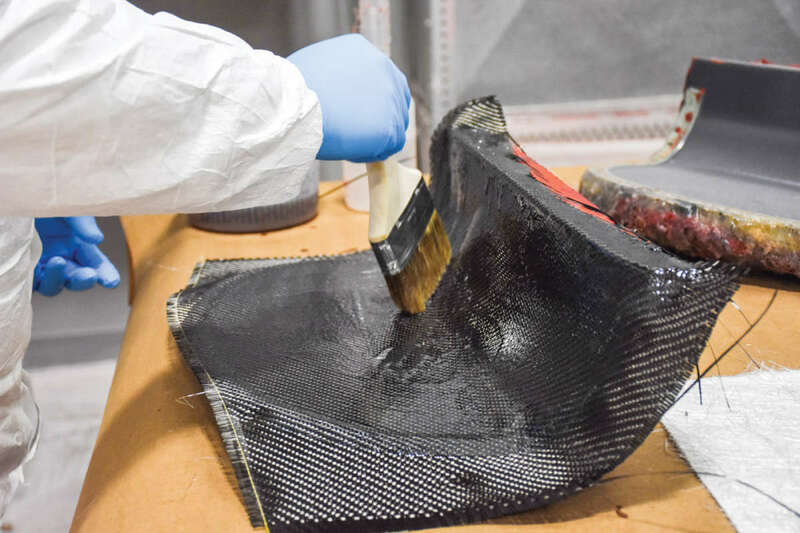 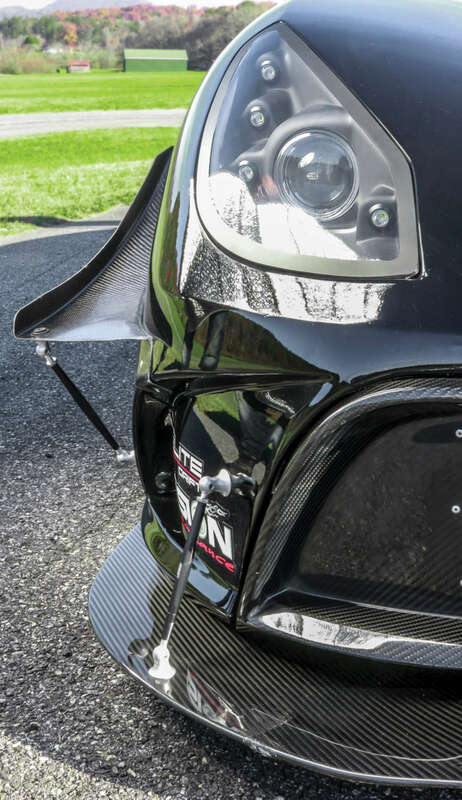 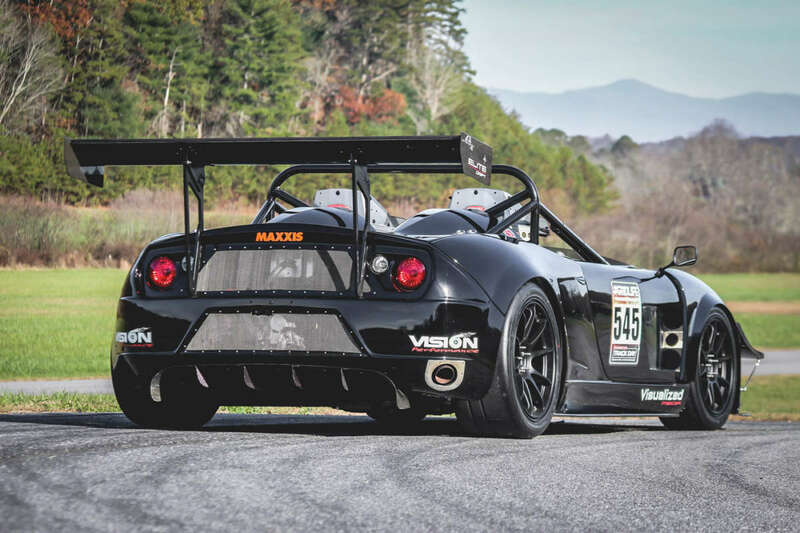 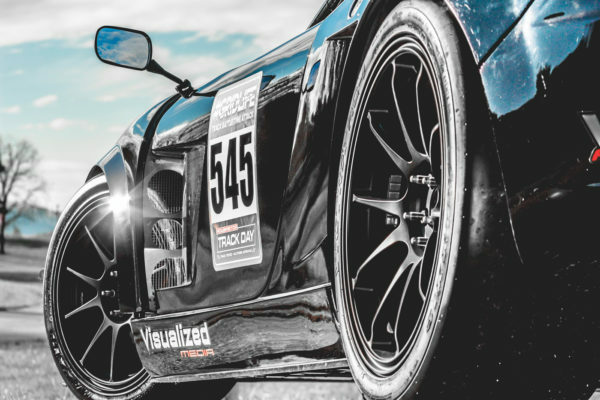 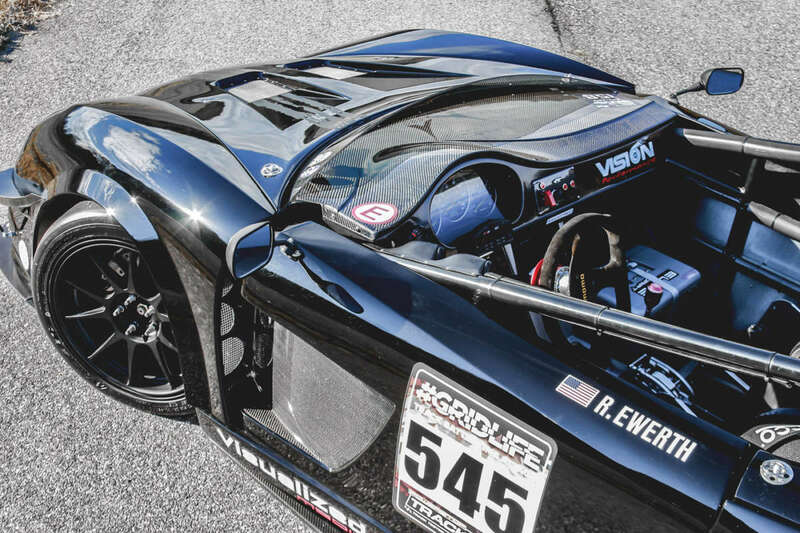 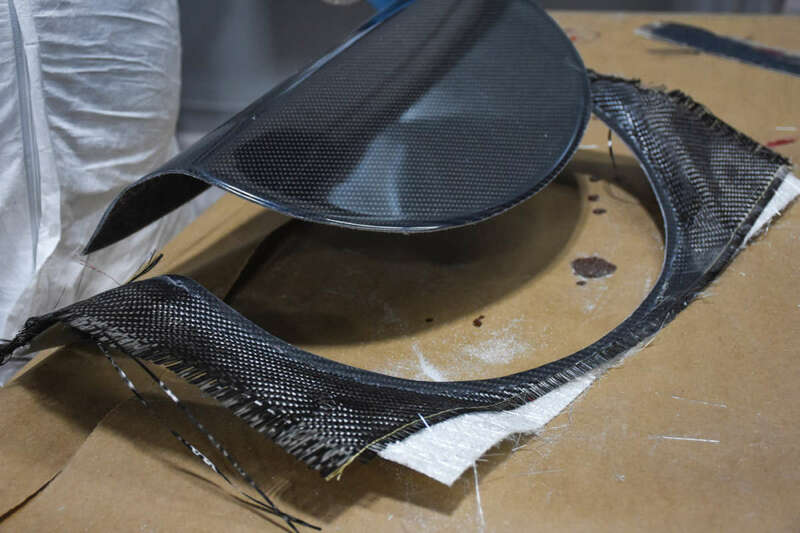 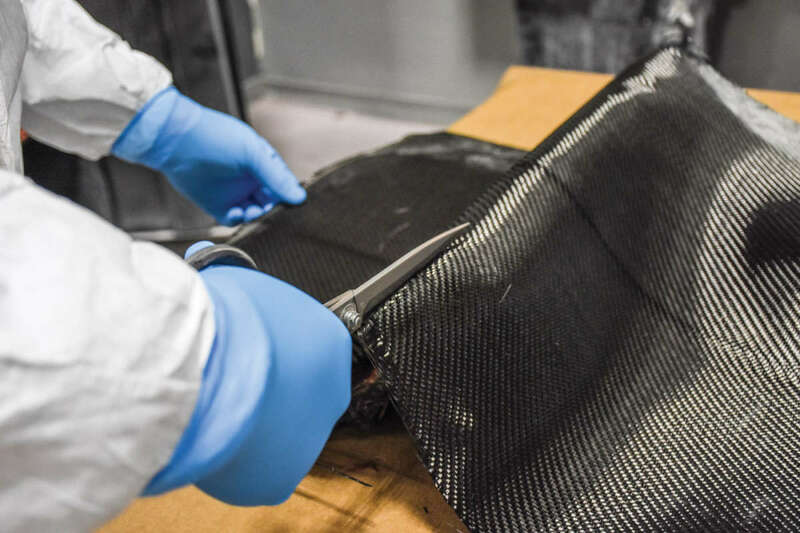 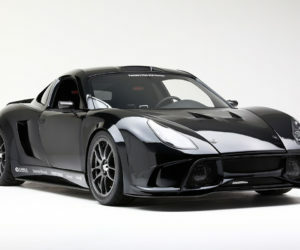 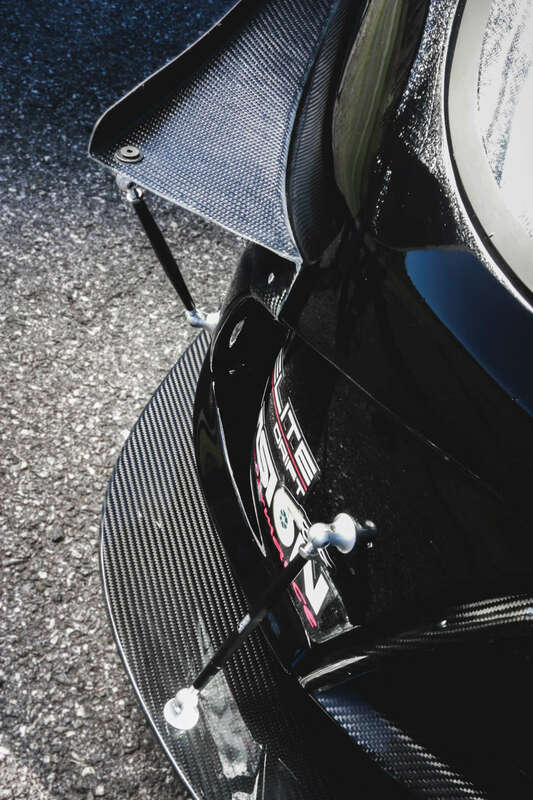 That dark fabric known as carbon fiber, found on everything from stealth fighters to tennis rackets, is a popular upgrade for project cars as well. 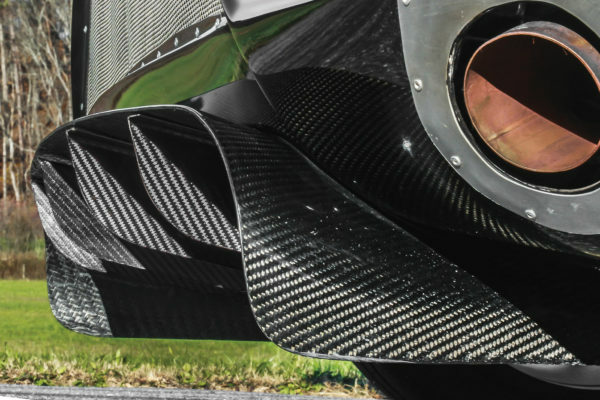 Not all carbon fiber is created equal, of course, and we’re not talking about the vinyl wrap that’s basically a photo of carbon fiber. 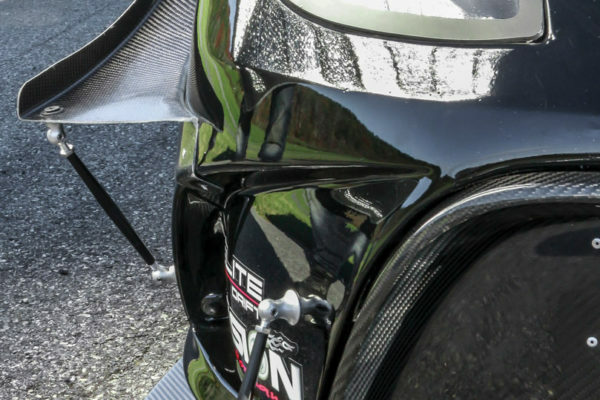 How can you tell the difference? 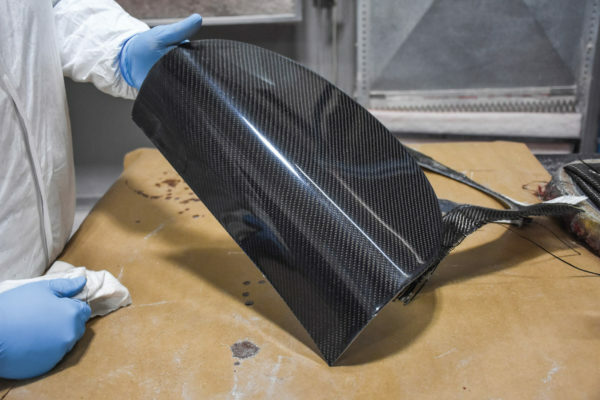 “If it looks 100 percent perfect, it’s not real carbon fiber,” points out Nate Johnson, operations manager for Factory Five Racing. He notes that the loose weave of carbon fiber is a challenge to keep lined up evenly, no matter how carefully you handle it. 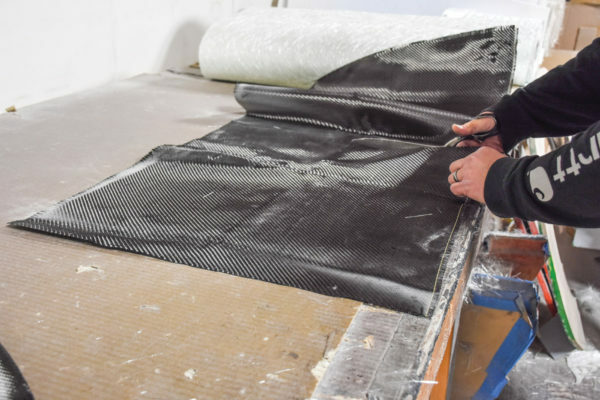 He’s worked at Factory Five for more than two decades and knows his way around resins and composite materials of all types. 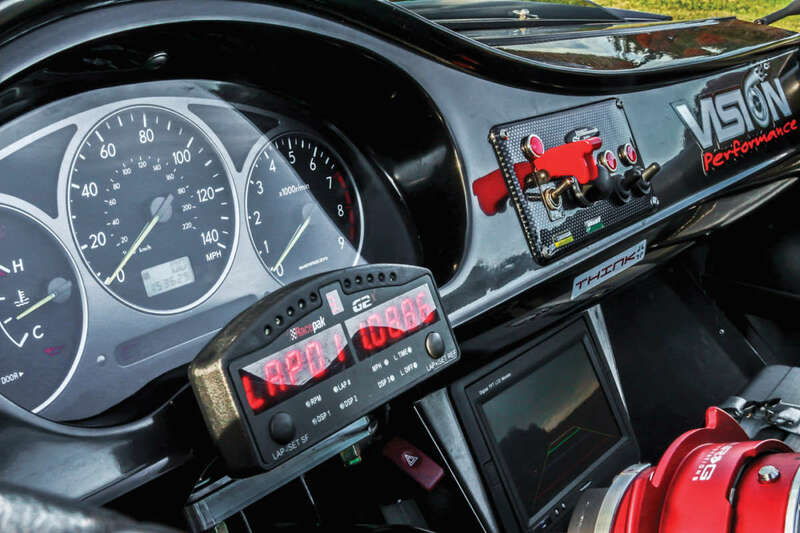 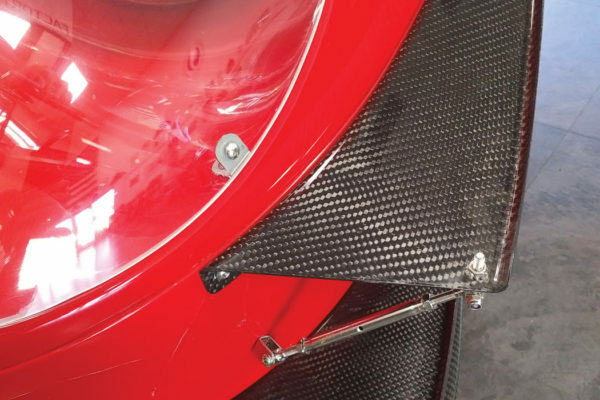 So we leaned on him for some additional tips about laying up carbon fiber parts, such as the gauge-face pod shown here. 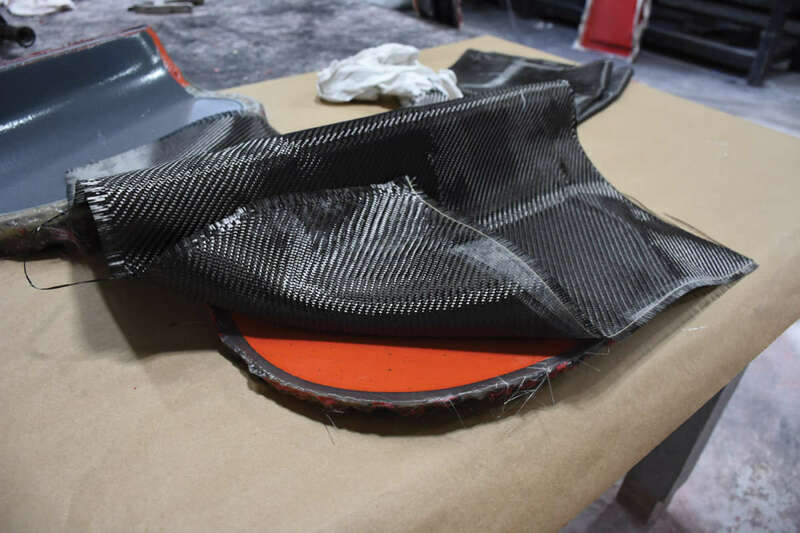 Other items done in-house include canards, trim covers and covers for roll bars. 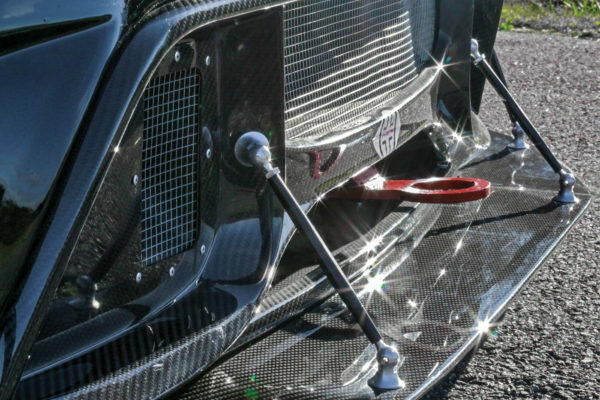 More stressed items, such as splitters that have to handle heavy loads in terms of downforce, are outsourced to a company that makes aftermarket parts for Aston Martin. 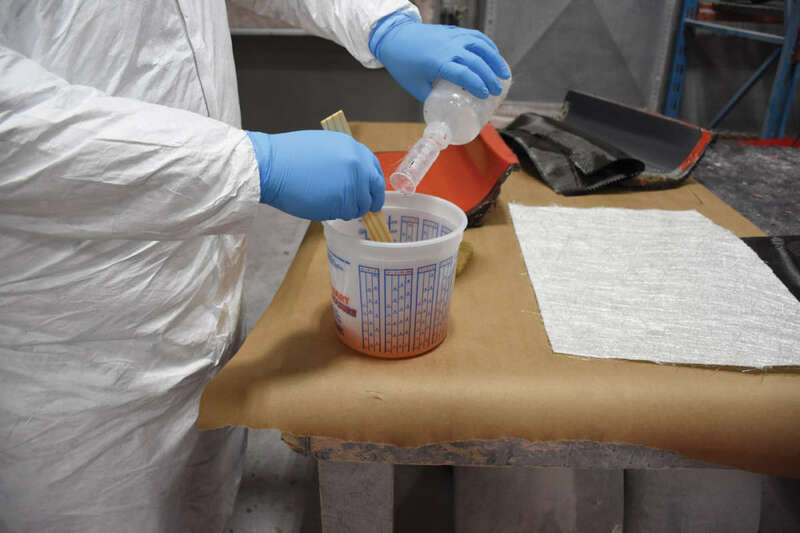 These performance parts require high-strength epoxy resin and autoclaving to maintain their integrity. 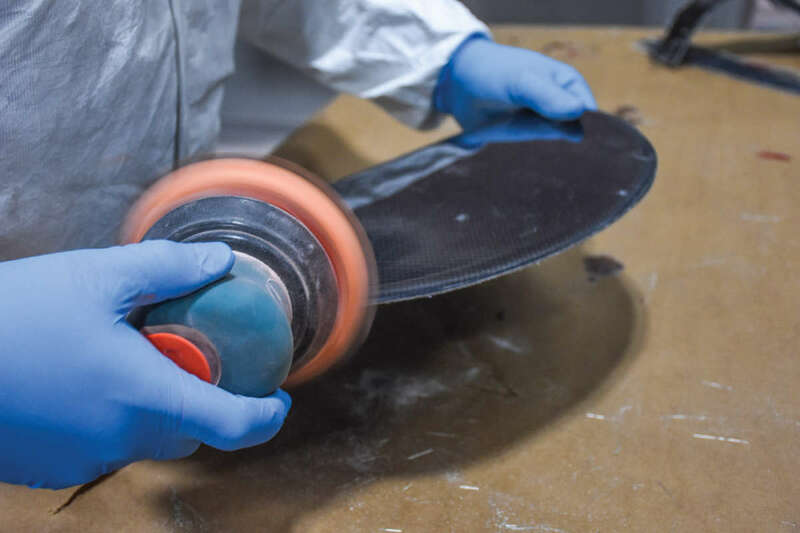 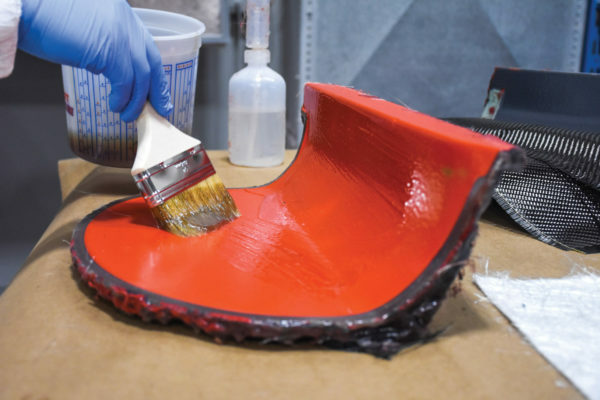 Even so, Factory Five’s in-house items are still fairly strong, as they use a marine-grade vinyl ester resin rather than conventional polyester resin. 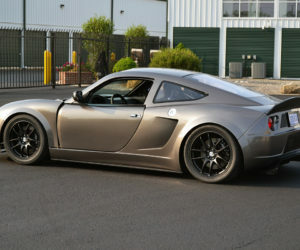 And chopped matte serves as reinforcement as we’ll see. 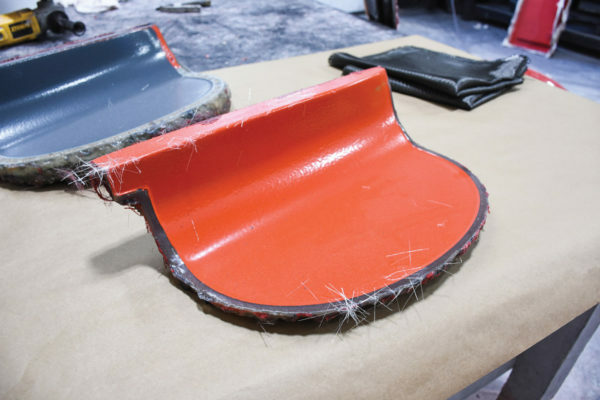 Should you tackle this sort of job on your own? 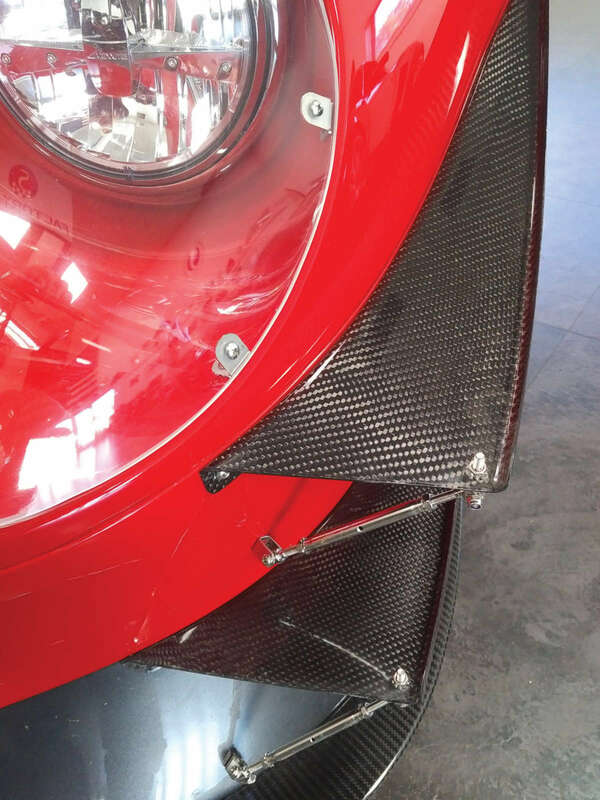 “It’s not a rookie move,” Nate advises. But there’s enough detail here to determine whether you’d want to make your parts or simply purchase them. 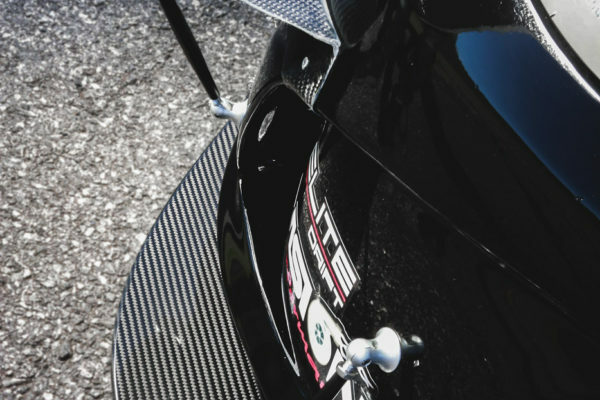 Either way, you’ll get a car that’s right in style with the new black.